There’s nothing quite like the hiking challenge presented by the Himalayas – are you ready to conquer it? More than just Everest Base Camp, this trek in the Kathmandu Valley is one that gives people a different perspective on the valleys and peaks of Nepal. Hike up through an ever-changing landscape of flower-filled fields and lush green forests before emerging among monasteries and villages. 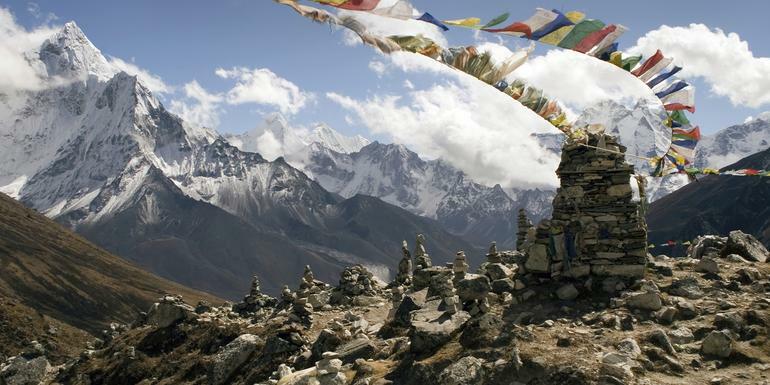 As a reward, take in the impressive sight of the Langtang Glacier and stay in rustic villages and monasteries. If you’re longing to get off the overcrowded path from Base Camp, this unique hike is the perfect solution. Your G for Good Moment: Sisterhood of Survivors Project, Kathmandu. Transport to and from Kathmandu. Hike in the Langtang region (10-day). English-speaking local guide and assistants for the trek. All transport between destinations and to/from included activities.